Tech giant Infosys said a newspaper report it was planning to fire up to 5,000 poorly performing workers was "wrong", although it encourages "chronic under-performers" to leave as part of its staff management. Infosys, which is also listed in the United States, added the number of potential under-performers that could leave the company was "significantly lower" than the 5,000 quoted in the media report. 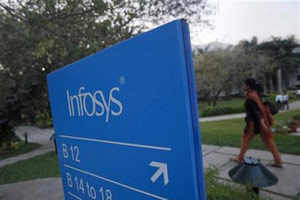 Earlier, Economic Times newspaper reported that Infosys has begun sacking employees at the bottom of the performance pile, returning to a practice it adopted during the peak of the global economic crisis in 2008 and 2009. The report quotes people familiar with the development. According to the report, "The renewed lack of tolerance for poor performance, which will affect up to 5,000 employees, is indicative of the pressure the software company faces to curtail costs while pivoting towards a more aggressive sales strategy."